The new Dacia Logan MCV Stepway will impress. 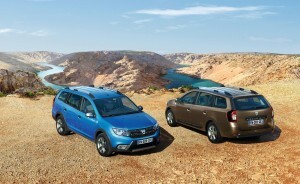 The new Dacia Logan MCV Stepway is an impressive and spacious estate car that has a rugged look and a kind price tag. Indeed, the Logan MCV Stepway adds to the Stepway family by building on the strengths of the Logan with a modern look. It’s also a practical choice, particularly for families, and with five seats there is a boot size of 573 litres which is one of the largest in this segment. 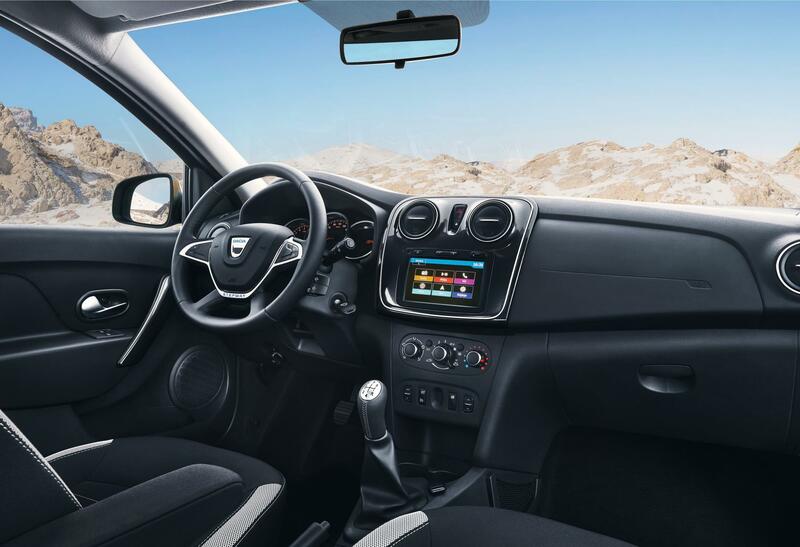 The new Dacia Logan MCV Stepway has a more muscular build than its siblings and is inspired by the world of crossovers while delivering a large load space and practicality. The vehicle also has a fresh interior, extra storage space and more equipment as well as a higher stance; it’s around 50 mm higher than the Logan MCV which helps the higher driving position deliver a better view of the road ahead. From launch, there’s a choice of two colours along with 16 inch wheels and the cabin has an improved ambience that is similar to the recently launched Sandero. The new car also features the firm’s new four spoke steering wheel with integrated steering wheel mounted controls and soft feel materials are dotted around the cabin. The seats for the Dacia Logan MCV Stepway are also new and more comfortable and though there’s only one trim available at launch, the Dacia Logan MCV Stepway has lots of equipment. For instance, there are rear parking sensors, satnav, air conditioning, hill start assist and DAB radio. Options for potential owners include a reverse parking camera, leather upholstery and a height adjustment package. There’s a choice of petrol and diesel engines which deliver reasonable economy and emissions ranging from 100g/km to 115g/km. There’s no doubt that the reputation of Dacia is continuing to grow and last year the carmaker achieved a record sales figure of 584,000 which is a 6% increase on the year before. The brand is selling well across Europe and in the B segment the Sandero is the market’s fourth best seller, while for the C segment the Duster is the second best seller. In 2016, the firm sold more than 26,500 vehicles in the UK. There’s no doubt the new Dacia Logan MCV Stepway will help build on that success with an interesting alternative to the market for those wanting space, decent performance and equipment levels at a reasonable price. This entry was posted in Car Leasing, Cars, Family Car, New Cars and tagged Dacia Logan MCV Stepway by Steve Lumley. Bookmark the permalink.